Keeper Eoin English capped a sensational performance with three penalty shoot-out saves to send Seaford into the third round of the Leinster Junior Cup following a pulsating scoreless draw at Archfield. Greystones had made a strong start to the season, with a perfect record in Major 1C and in the various cup competitions, so it represented a very tough draw for the visitors in their inaugural captain in the competition. Paddy Costello returned to the line-up, with Dave Devaney making way as John Bannon reverted to fullback. It proved to be an even contest from the outset, with Seaford edging it slightly on the balance of play. Striker Paul Lydon had the best opportunity of the half, as he dispossessed Greystones defender Diarmuid Ftizpatrick to bear in on goal, only for Gavin Magee to produce a superb stop to deny him. Greystones's best chance fell to Ryan Kenny, who was slipped in by striker Barry O'Donnell , only to shank his shot over the bar. If Seaford had been on top in the opening period, the momentum certainly shifted in the home side's favour after the break, particularly after the introduction of Daniel Webb off the bench. English was at full stretch to deny Luke Cranley's effort from 20 yards after a corner , moments before O'Donnell was inadvertently played through on goal by Adam Finnegan's tackle in midfield - only for the onrushing English to block out his attempted chip. Seaford's best opportunity of the second half fell to skipper Mike O'Neill who met Stephen Kane's perfect cross from the right with a powerful header from eight yards out, but Magee managed to beat it away. WIth just a couple of minutes to play, the visitors again needed English to be at his best, blocking Webb's low shot with his shins after Cranley had fed the big Greystones forward. During a tense period of extra time, the same pair combined well to create a great opening, but again English made a fine save to keep Webb out, whilst substitute Darragh Connolly was inches from putting the visitors through when his looping cross rebounded off the crossbar. English came Into his own the penalty shoot-out, blocking Webb's blast down the centre of the goal before making two brilliant diving stops to his left to deny Keith McDonnell and Iain Duncan. For Seaford, O'Neill, Connolly and Dave Devaney made no mistake to send the visitors through. Greystones United: G Magee, A Fisher, E Cleary (D Webb, 52), K McDonnell, D Fitzpatrick, I Duncan, L Cranley, R Kenny, B Whyte (N Condren, 76), B O'Donnell, E Thompson. 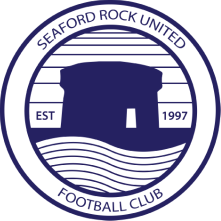 Seaford: E English; J Bannon, J Nolan (D Devaney, 89), C Fahy, P Costello; A Finnegan; M O'Neill (c), P Shelton (R O'Huiginn 72), S Kane, S Faherty (D Connolly, 67); P Lydon.